‘Calado’ is embroidery consisting of ornamental needlework on a garment that is made by gathering the cloth tightly in stitches. Type of: bordado, cosido, costura, labor. a creation created or assembled by needle and thread. Now imagine that fine artwork coupled with the artistic strokes of multi-awarded director, Louie Ignacio. The result are stunning masterpieces which befit a collector’s gallery. Needless to say, it is a must-see because the sight of each of the paintings is an experience. 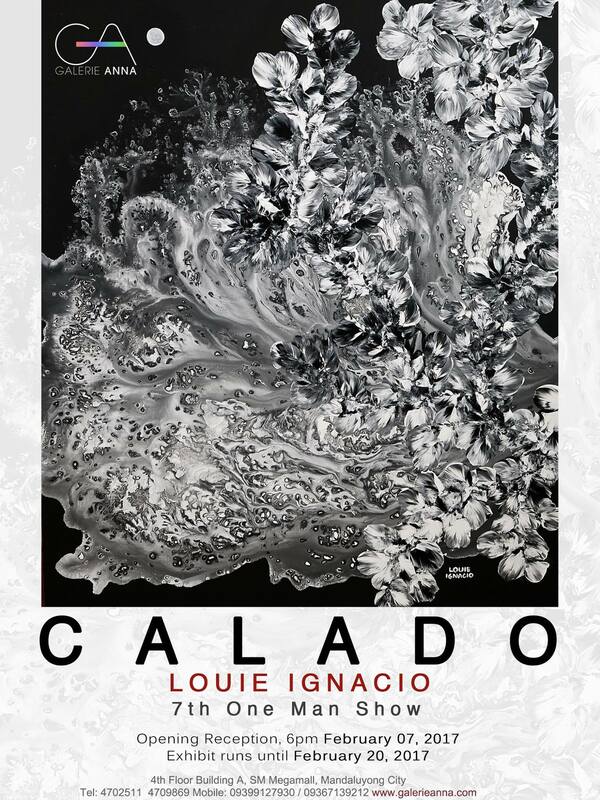 ‘Calado’ is Ignacio’s 7th One Man Show to be showcased at Galerie Anna from February 07, 2017 to February 20, 2017.